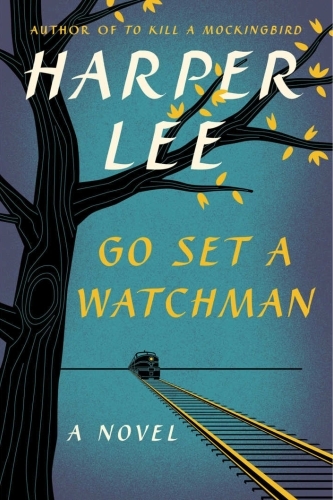 In reviews I have read of Go Set a Watchman, the nearly universal interpretation seems to be that Atticus Finch is a racist in this story and that Harper Lee and her publisher have done a disservice by soiling the reputation of one of the greatest heroes in the literary world. Not only are these reviewers wrong about Atticus Finch, they are the ones who are soiling his reputation by misinterpreting the story, its theme, and its heroic character. In our current society, there seems to be a quickness to slap the racist label on anyone who doesn’t toe a certain “politically correct” line. Atticus Finch is not a racist, and those who give him that label completely miss the point of the book. Harper Lee took great pains to thematically teach the opposite mindset. She chastised those who are quick to dismiss opposing viewpoints by negatively labeling their opponents without due process, that is, going beyond the superficial and learning what is really going on in someone’s mind. In the story, Jean Louise Finch (Scout) was the foil. She was the accuser, the one labeling her father as a racist (among many other intemperate insults), and Lee’s entire point was to show how wrong Jean Louise was. She saw only the surface, the superficial evidence against Atticus, and she was too blinded and too fearful to dig further to find the truth. Jean Louise was the bigot, not Atticus. With every evidence of racism in Atticus, there was a counter explanation that Jean Louise either couldn’t see or refused to see. Through an illustrative flashback, Ms. Lee employs sharp cunning to demonstrate Jean Louise’s blindness with regard to a completely different topic. When Scout was eleven, she began her menstrual cycle. Soon after, a boy kissed her by force and pushed his tongue into her mouth, much to her disgust. Later, an older girl tried to explain to Scout how a girl gets pregnant. The girl said that it begins with French kissing. From that point on, Scout zoned out. She couldn’t listen to the rest of the explanation. She was certain that she was pregnant. If she had continued to listen, she likely would have heard that getting pregnant involved more than tongue contact, but her fear blinded (deafened) her to further inquiry. She decided that she would kill herself before the baby could be born. Then one month before the baby was due (according to her ignorant calculations), and with no other evidence of being pregnant, she climbed a tower intending to jump off. Fortunately, and unexpectedly, someone saw her and stopped her. Later, when she confessed her fears, she was corrected and understood her blindness and ignorance. In the same way, Jean Louise saw evidence of bigotry in her father. The revelation shocked her. Fear invaded. Blindness ensued. She couldn’t explore further and find the truth. Her own terror became a crippling handicap. Later, she climbed the proverbial suicide tower and exploded at her father with all sorts of insults, and he absorbed them with patience and tender answers. Jean Louise was committing family and relational suicide because of her fear and ignorance. Fortunately, and unexpectedly, her uncle found out and stopped her. He explained the truth. Atticus Finch lived in a region in which he maintained friendship with real racists, and to Jean Louise his association with them appeared condoning, but she was mistaken. The racists were wrong, and Atticus was their friend. He refused to spurn them. He stayed close in order to help them. Uncle Jack prevented her emotional suicide. He helped her see her blindness. Her father was not the racist devil she had foolishly believed him to be. In fact, Jean Louise had played the bigot, though she was merely a “turnip-sized bigot,” as her uncle described her. She came to realize that she had misjudged Atticus, though she found freedom in disagreeing with his philosophy. Indeed, Atticus Finch was not a racist. He was a states’ rights gradualist who resented the federal government’s intrusion that forced immediate equality. His observation was that Negroes (his term) were not ready for a dramatic shift, and their state, their community, needed to gradually blend the two races according to wisdom instead of fiat. Even Atticus’s most incriminating statements, such as his idea that the Negroes in his community were “backward” and that white schools would be dragged back by immediate forced integration, are not proof of racism. They were his observations, played out in his own community. They did not reflect a belief that one race was inherently superior to another. The Negroes were backward because they had been forced into that position by a white-dominated society. Love and compassion drove him to believe that gradual integration guided by the wise people in the community was the best option for everyone. This ideology doesn’t conform to left-of-center views that insist on Washington-based solutions, so it’s no surprise that accusations of racism come from those camps, but it is an unfair and unwise accusation. It is the product of the same kind of blindness that Jean Louise exhibited, and it is the kind of ignorant labeling that Harper Lee excoriates in this book. Ms. Lee’s character, Jean Louise, served as the ignorant labeler, the arrogant judge on high who, without the courage to dig deeper, had the audacity to unfairly label her father. May we all show humility by withholding labels and seeking to know more about people and their views. Let us refrain from unfairly judging them. This was Harper Lee’s message, and it is sad to see so many reviewers blindly missing her point and doing the opposite. What did you think of the book itself? Did you like it? The book is severely flawed, but it was a worthwhile read. I’m not sure I “liked” it, but I can say that it is valuable. Seeing Harper Lee’s genius shine through the cracks made it enjoyable. Wow. I didn’t think Atticus was as terrible as other reviewers made him out to be, but I did think that his comments about the “backwardness” of blacks betrayed the sort of mindset that says that black people can’t do for themselves. A number of things led me to believe this: the fact that Harper Lee’s father–the model for Atticus–was in favor of segregation for most of his life, the seeming likelihood that a person born in the same place and time would have such views, etc., but your post has really given me a lot to think about. Also, when I read Watchman, I couldn’t tell what Lee was driving at with that story about Scout thinking she was pregnant. It makes perfect sense now! Great article!